A friend once quoted another friend. "If stupid people want stupid things, help them get it"
One central park nestled in the education precinct of Sydney has always been a subject of interest. The first building you see when arriving from the west it is indeed a bold statement. This post is not about criticising the fundamental principles of the building. Its not to question its aesthetic reasoning. Nor am I trying to debate the supposed greening of the building. I'm here to point out the incredibly ridiculous lighting on the underside of its sky podium. Lurching above whilst walking down Broadway was a sea of what can only be described as a mesh of giant LED's. What on gods good planet possessed the lighting designer or architect to do this. It screams stupidity. Almost like a badly dressed Christmas tree. Its as if the god of love herself had some bad mushrooms and threw up a sea of red afterglow. Its rather devastating that this has been allowed to happen. Have we really fallen ill of good design? Are we simply just moths to a flame? Sydney / Australia, please stop for a second and question the integrity of design before you give it the green light. 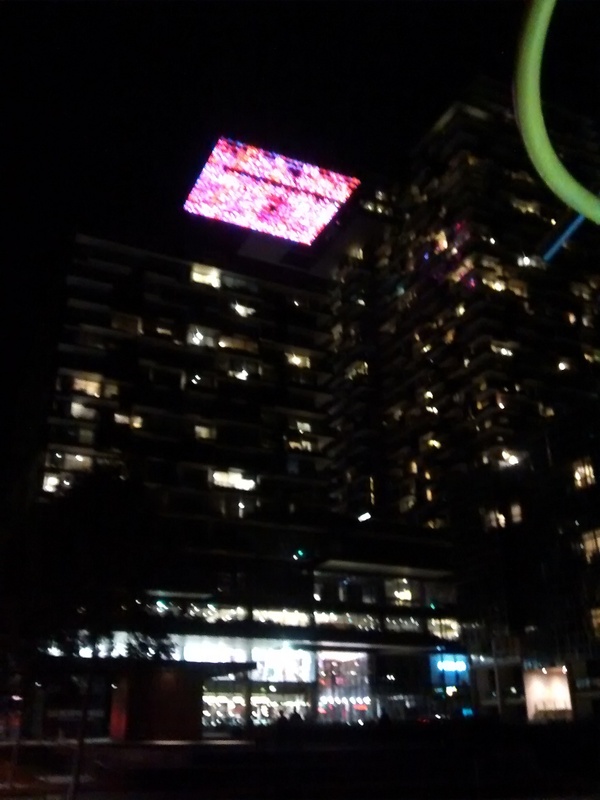 Thanks Jean Nouvel you manage to convince the bright people of Sydney that this was a good idea. Then sold it to the smart guys at PTW to finish, in which they manage to lose money. In the land of the blind. The one eyed man is King. is it a bird? is it a plane? no its hedonism.